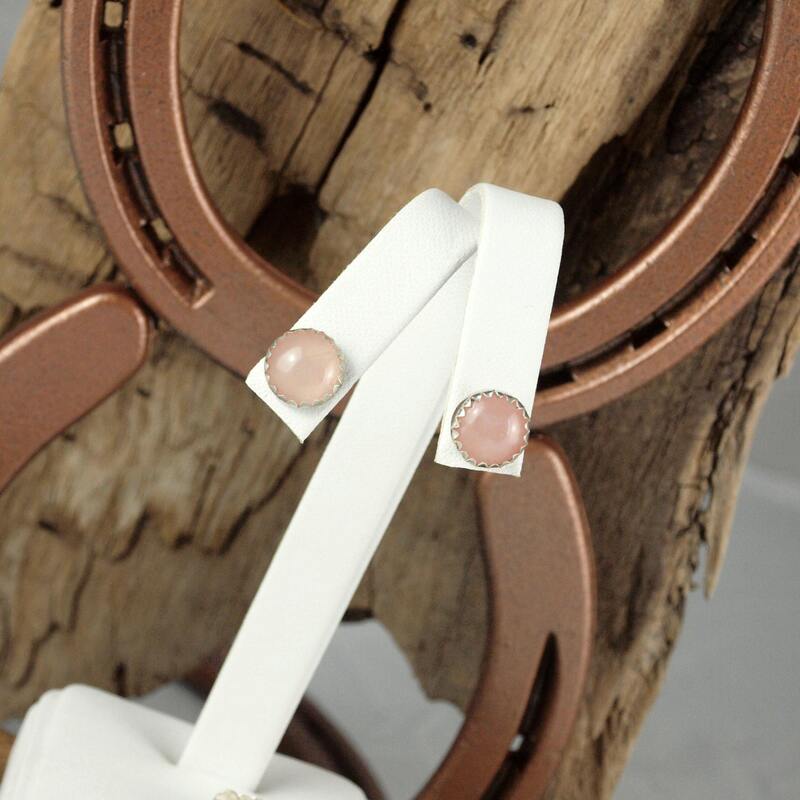 Silver Earrings - Rose Quartz Earrings- Statement Earrings -Studs - Stud Earrings - Pink Stone Earrings- Stone Earrings- Boho Earrings: These sterling silver post earrings features two natural pink Rose Quartz cabochons. 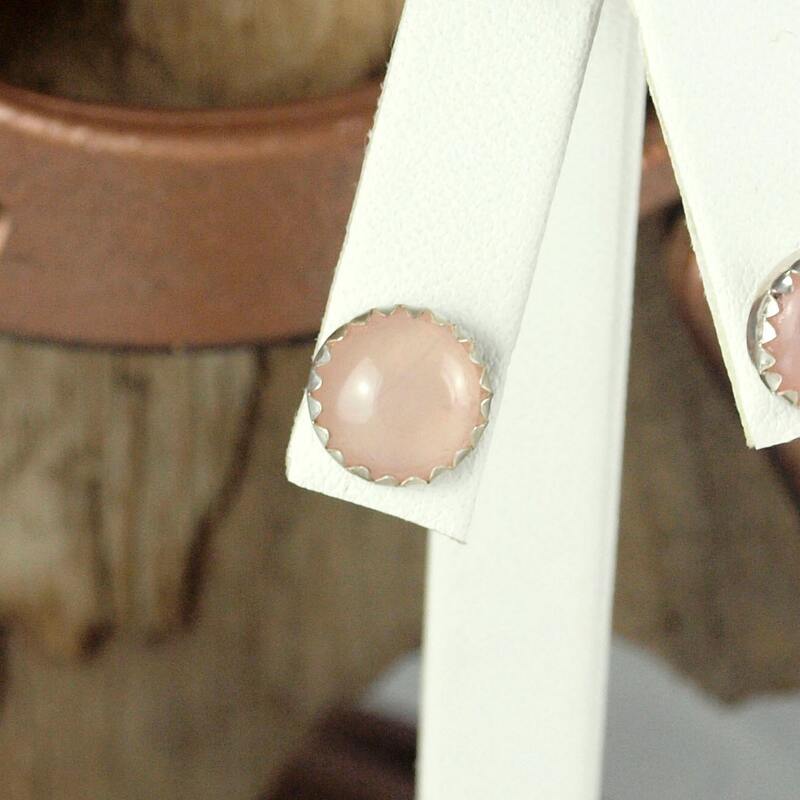 The Rose Quartz stones are 10mm (3/8") in diameter and the earrings are 4mm (1/8") deep. 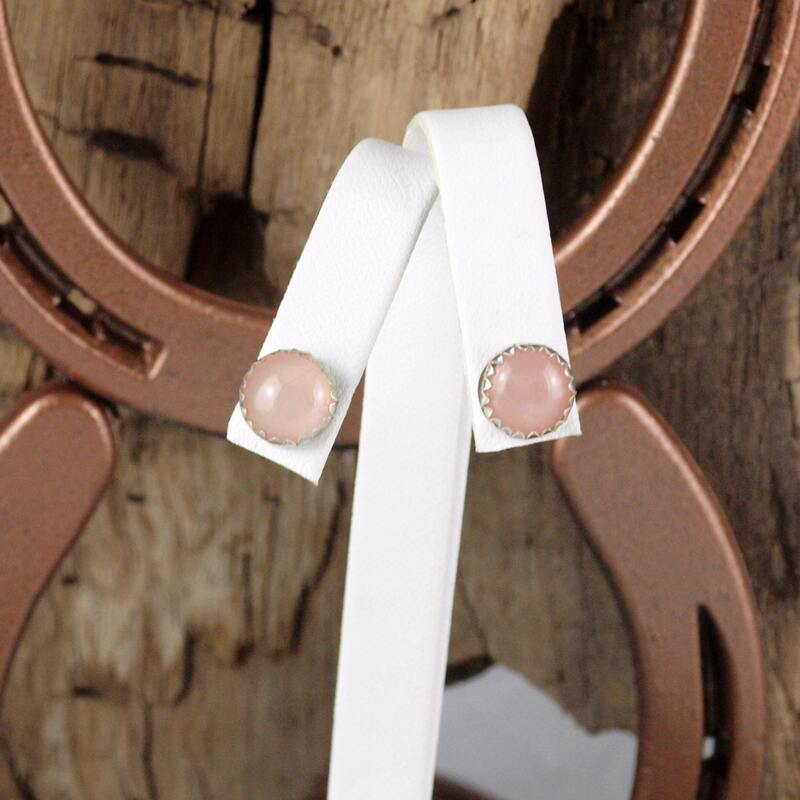 The Rose Quartz stones were shaped and polished by hand in our workshop in Montana! The delicate Rose Quartz pink color really pops in these settings! 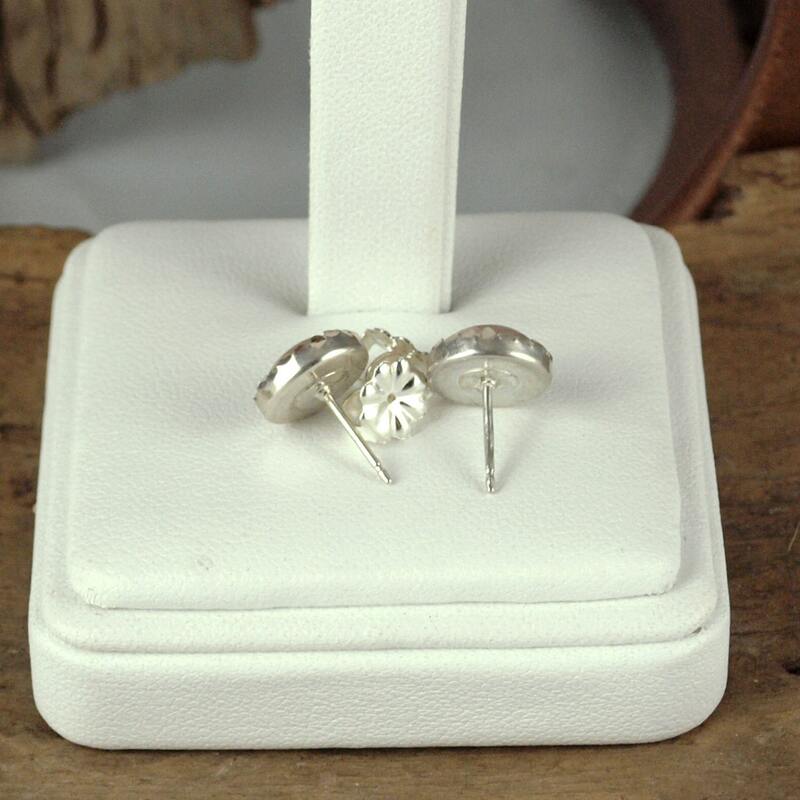 A wonderful pair of errings that are versatile anough to wear at anytime. 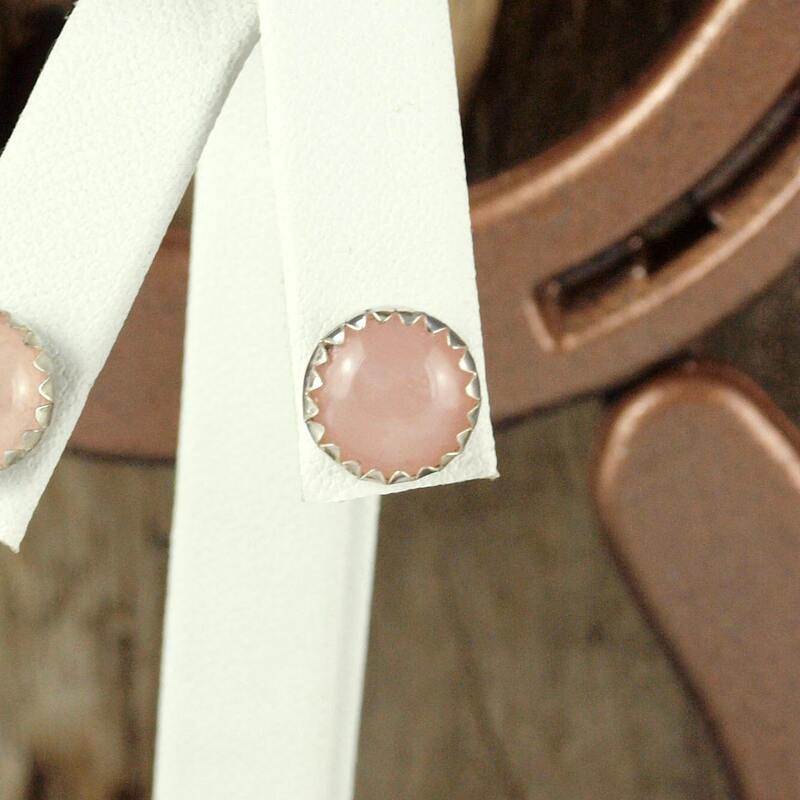 These earrings would make a great present when paired with one of our pendants! As with everything we sell, we will ship your purchase in a beautiful gift box for no extra charge!